Website design is constantly evolving. You want a design that will help your audience convert to paying customers. You also want a website that is up today’s standards and not stuck in the past. Full Width Images and/or Video Sliders. Studies show large images make people stop and notice. The image must be exceptional and unique (avoid stock photos). This contributes to a high conversion level. Split-Screen Layouts. 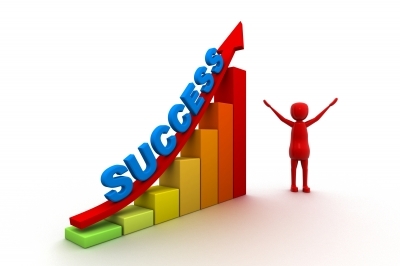 This allows your audience to go to where they will be most likely to convert. Monochromatic Colors. Your CTA (Call To Action) button will stand out if you use a bright spot of color on an otherwise neutral or contrasting color palette. Simple Navigation. Make it easy for people to find what their looking for. Avoid deep menus that require a lot of clicks. Video. A level of trust is needed to convert your audience into clients. 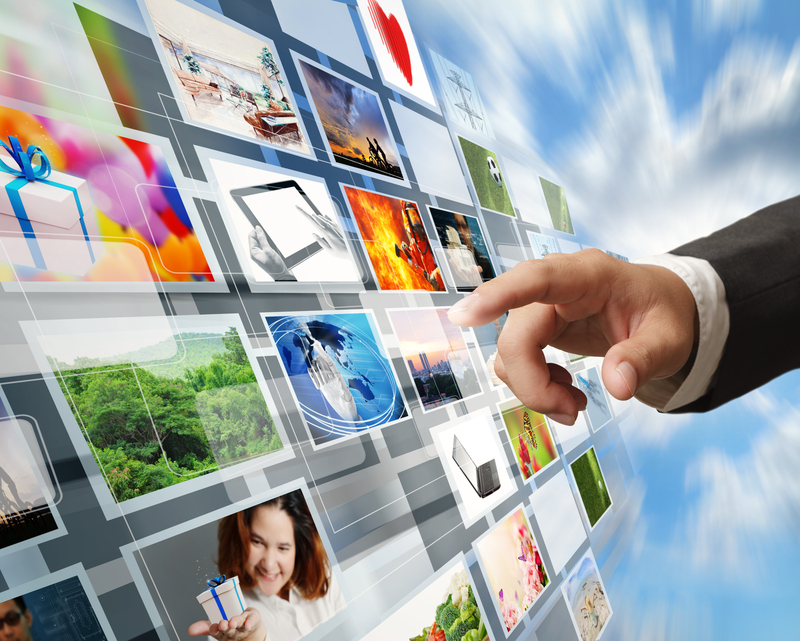 A video will allow you to personalize your brand. You will see more and more videos on the home page of websites today. Responsive Design. A responsive web design is one that fills all screen sizes optimally. This is a must as an increasing number of people use their mobile devices to search up websites. 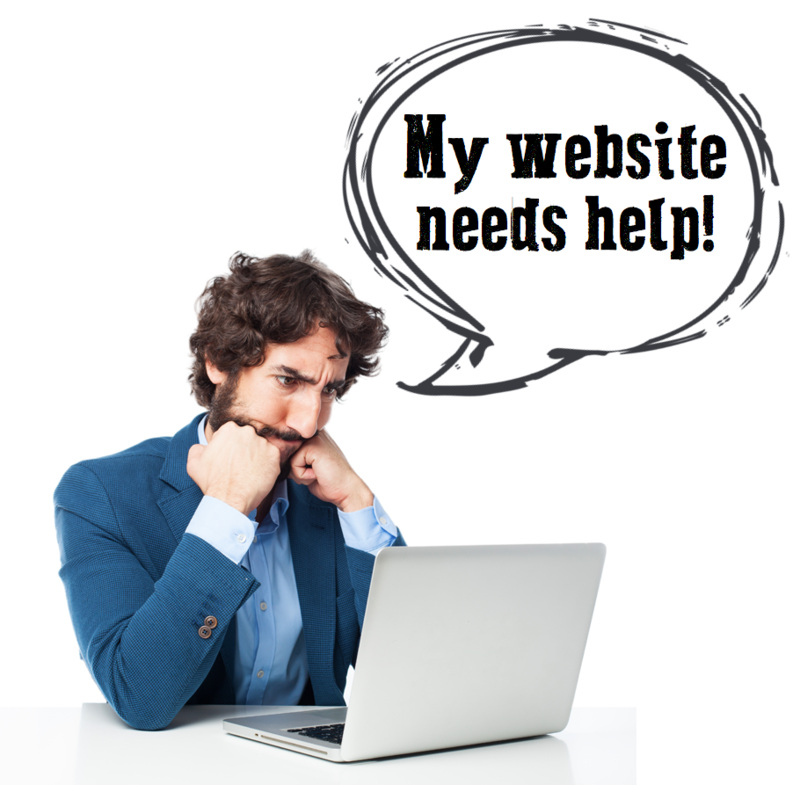 These are tips to keep in mind, whether you’re needing a new website or revising an existing one. Don’t let your business get left behind. Once upon a time, in the late 1970’s, I used to run a typesetting machine. It was an old Compugraphic Imagewriter, a blue electronic box with a typewriting keyboard and a display screen consisting of a single line of type. The type was all caps. A simple arrow let you know if the type was in lower or upper case. To typeset a job you had to visualize the entire layout in your head. Or you could sketch it out, if you were so inclined. And here’s the fun part, every time you wanted to change the font, you had to open the machine and change a film strip. Each font was on a different film strip, which had to be carefully attached to a roller of sorts. And they were expensive. Even more fun, there was no memory beyond what you were currently working on. As soon as you set the machine to process the text to film or photo paper, it was gone. Yes, GONE. Once a job was printed out it could be pasted up on a job board, using hot wax. Corrections and changes had to be entirely re-typed and pasted up. For graphic design companies this was great news. It meant few people would be able to design, typeset and create their own ads, flyers, forms, brochures, business cards, etc. When you wanted these products you would visit the printer or graphic arts studio. Times have changed. Now all you have to do is turn on your iMac or similar PC type machine, select any one of hundreds or thousands of free templates and “create” your own, unique artwork. Changes are easily made and printing is at a touch of a button. Just remember, though. Free is not always better. If you truly want a professional, unique website, logo or design project, call Chuck at 310-791-5803. Just saying. The dictionary describes a font as “a set of type of one particular face and size”. Fonts are a breeze. Hundreds are included free with almost any program and thousands are available online, also for free. Just search and download. Here are just some of my favorite places for finding free type fonts. Most have Windows and Mac versions. When using free fonts make sure you read the licensing agreements. A lot of these fonts are available for personal, not commercial use. Everybody loves Doris Day. The 1950s was a great time. Business was booming, as were babies. I was born in that era. Relive the nostalgia of the 1950s with a perky script font that says Doris Day. 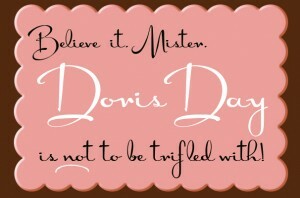 Download the Free Doris Day font here (for both Mac and PC). Daily Free Fonts The free font archive (TTF fonts for free and cool fonts)! Famous Fonts Lot of famous fonts from TV, Movies, Music, Publications, Games, Companies, Automobiles, Sports and more. Fontspace Free fonts from designers around the world. MadTuts Fonts and inspiration for designers. SearchFreeFonts The name says it all. Urban Fonts Lots of free fonts for your use. dafonts A great collection of free fonts covering many themes. 1001 Free Fonts You’ll never run out of fonts at this site. Let me know if you have a favorite free font website. Sign up for our free Juicy Newsletter. Look for lots of fun, useful and fabulous tips on graphic design, marketing and business. What is a Favicon and Why Do I Need It? “Favicon” is short for favorites icon. It is the tiny little image you see right next to your domain name in the browser’s title bar and bookmark. All you need to do is create a 16 x 16 pixel .ico file. Start off in Photoshop or any image editing program. Use your logo or brand image and create a mini jpg file. Then can go to a site like favicon and upload your jpg image. Once you upload your new jpg icon into a favicon generator site, you just have to name it favicon.ico and export that ico image to your hard drive. Then, using FTP or Dreamweaver just place that image into your site’s root folder. If you’re using WordPress, the “Shockingly Simple Favicon Options” plugin is an easy way to set up your favicon. If you don’t use WordPress, check out Dynamic Drive’s Favicon Generator or Free Favicon Generator from Website Planet. Adding a favicon to your website is a great way to help build your image or brand. It also makes your site look a little more professional. Finally, my all time favorite actress is available in font form. Well, not exactly. But if you’re a fan of the 50s there’s an exciting new font to check out. It’s called Doris Day, and is described as “a stylish little brush script from designer Mario Arturo”. This typeface was based on a 1940 book The ABC of Lettering by artist J.I. Biegeleisen. It includes both upper and lower case letters. Great for those vintage 1950s designs you’ve been working on. Best used for large headlines, not so good for paragraph text, though. And it doesn’t include numbers. If you love Doris Day as much as I do you’ll find this font a must have addition to your design collection. 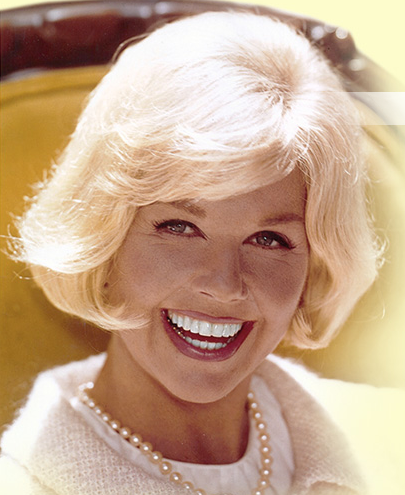 I have been a huge Doris Day fan since I first saw her movie Jumbo in 1962. I was a mere child. Since then I had the great pleasure of meeting Doris Day in person while volunteering at a few of her animal charities. She was very friendly and gave me her autograph. Sign up now for my semi-regular Juice Factory newsletter filled with fun and helpful tips on graphic design, marketing and other business related stuff.